As you might have noticed from my reviews of other intu Eldon Square eateries, it’s a mixed bag in there. Granted, there’s something for everyone, but Grey’s Quarter (and indeed, customers!) deserved a real show stopper for their mid-shopping pit stop, and I’m pleased to say, I think Omar Allibhoy’s (more on him later) Tapas Revolution is it. 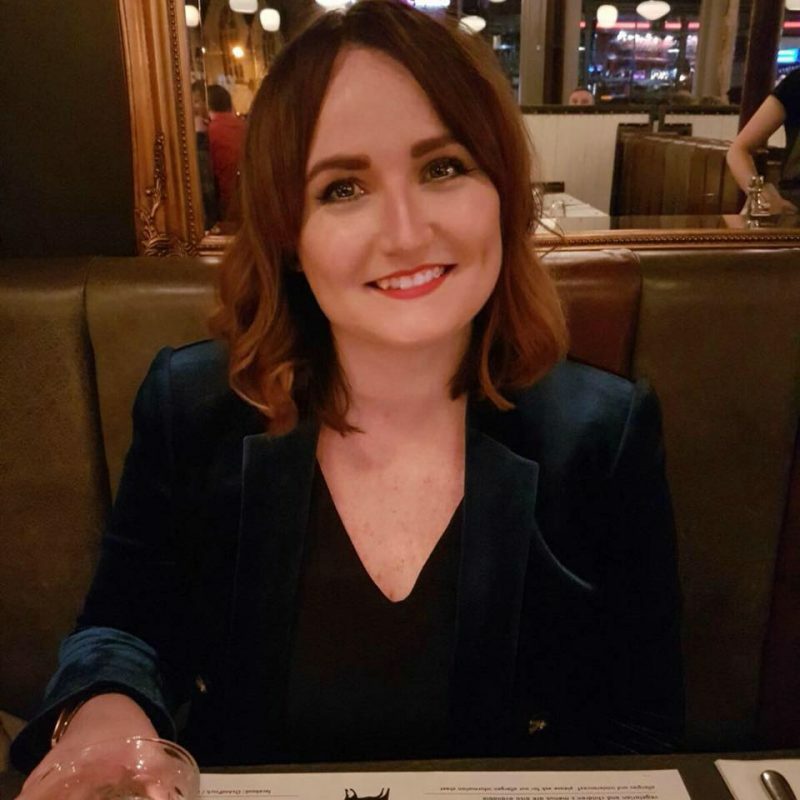 The Newcastle haunt is one of 7 Tapas Revolution restaurants around the country, and the outfit is really rather pleasing. 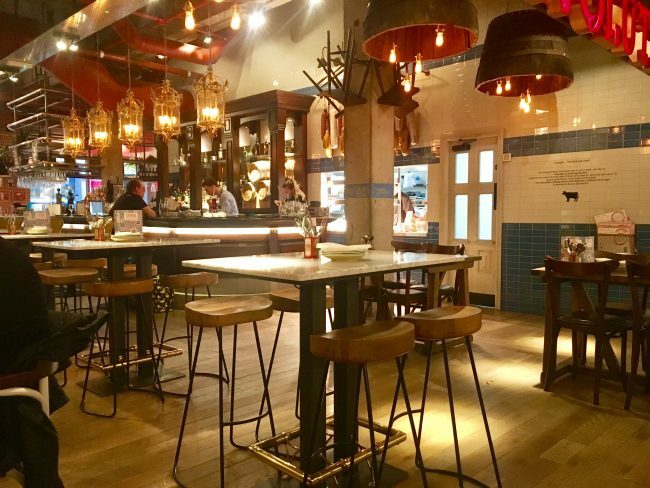 It’s a themed restaurant chain of course, and the decor is as close to a Spanish tapas taverna as you can get in a shopping centre in NE1. Lots of pretty tiled centrepiece walls, hanging hams and quirky lighting. This was our second visit to the restaurant, and luckily it was quieter than the first, so I could really get a glimpse of the restaurant in all it’s glory. Despite it being quieter, we found ourselves waiting around 10 mins to order our drinks then another 10 for them to arrive, so clearly the restaurant was a little understaffed. That said, however, service is very friendly. Both times, we were served by a very chipper guy called Jose, who was super passionate about the food and guided us through the menu and wine list with finesse. He’s Spanish of course, so had plenty to say about the authenticity of the dishes served up at Tapas Revolution, regaling us with stories of how his Mama made it. This is the kind of thing other restaurants (Chaophraya, I’m looking at you here) are crying out for: someone with a bit of enthusiasm to tell the stories of the food rather than just take your orders. Jose really added to our Tapas Revolution experience and he’s a definite asset to the team. We saw him with other customers and he was just as animated, so it’s not all show. Drinks-wise, we opted for a bottle of white between us (the Colegiata Malvasia, to be specific) at £24, which was a lovely light wine that complemented our rather fish-heavy tapas selections. My actual favourite of the lot. Beautifully cooked octopus with a very smokey backbone thanks to the paprika, and delightful potato discs that give the dish a bit more substance. I’ve had this twice and often find myself thinking about it when we’re deciding on where to go and eat. If you’re into fish and fancy something a bit different, this is the one for you. Another highlight! Perfectly cooked pork with a crispy top and a generous slathering of sauce. 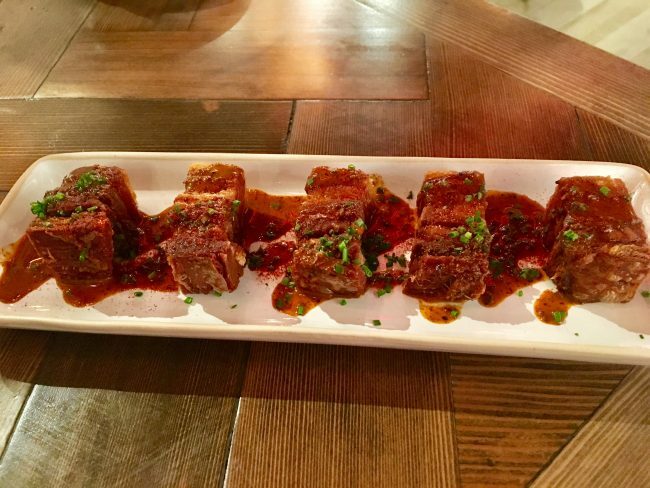 Again, the second time we’ve had this one, and as I’ve never had belly pork tapas-style before, despite the fact it’s one of my favourite cuts of meat, it was a rather novel take on what’s usually quite hard to get right. The meat isn’t fatty whatsoever, so it’s clearly had a good 4 hours+ blast in the oven, and the sauce is almost teriyaki like, aside from the evident sherry base. Lovely stuff. So good we ordered two portions. My god, I could eat these little bad boys every day. 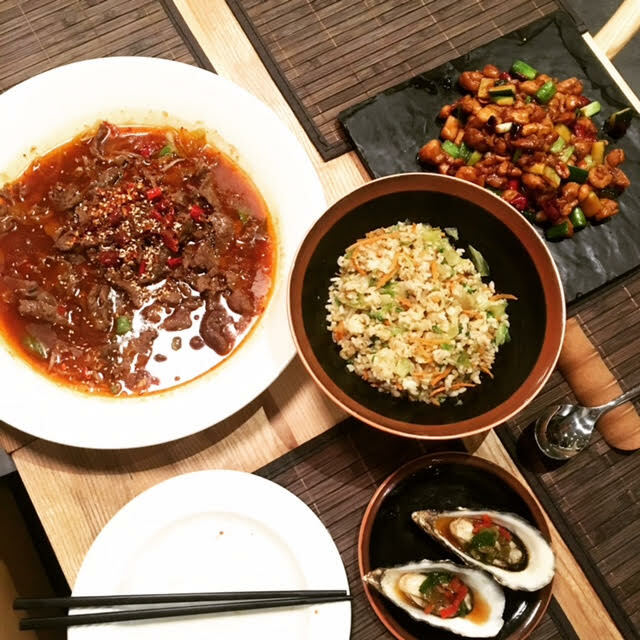 They’re cooked in the traditional clay pot and arrive at your table still sizzling, with plenty of fresh garlic slices and chilli. We had similar in Gran Canaria last year and these prawns took me right back on holiday. Perfectly seasoned, perfectly cooked. 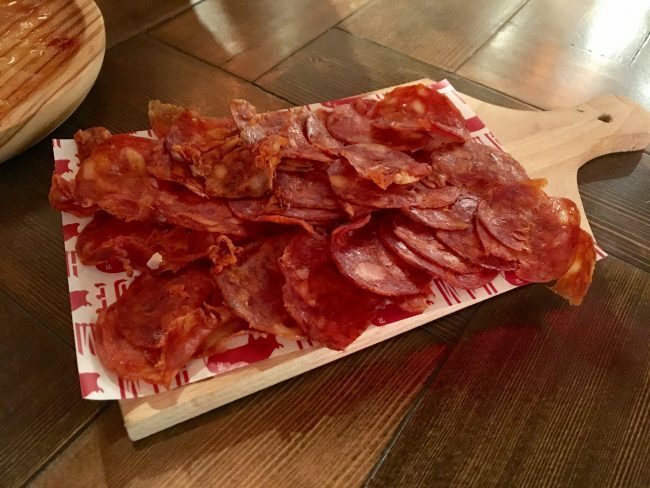 Perfect tapas staple, really. Do not go to Tapas Revolution and not order these. Probably the most ‘meh’ dish we had, to be honest. Calimari is standard wherever you go. 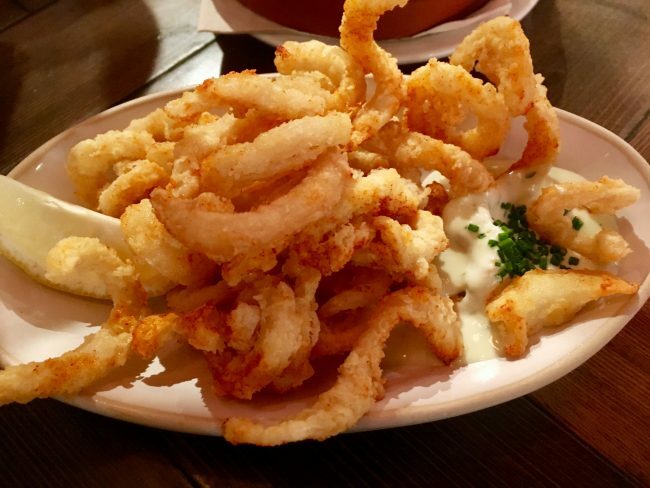 To be fair to Tapas Revolution, the squid was cooked really well and the batter wasn’t as… ‘claggy’ as you often find elsewhere, but I could have taken another helping of the octopus instead of this, quite gladly. My advice on this one? Try something you’d not normally order instead, like the anchovies or roasted cod loin (the latter of which is absolutely delightful!) and you’ll be pleased you did. Calimari is calimari: Standard. Messy little buggers, but very tasty and worth getting your hands/face sticky for. 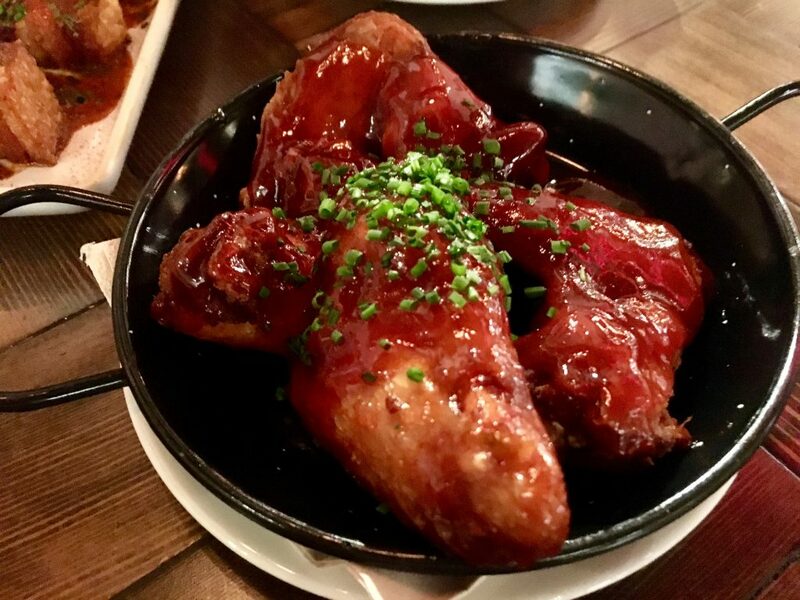 The chicken is again, cooked to perfection, and the outer skin is well seasoned and crispy. The sauce, as mentioned, is rather sticky indeed, but if you’re like me and can’t resist a chicken wing, then these reasonably priced goodies will see you right. We had two each and admittedly, were starting to feel full already, but I still could have devoured more. We accidentally ordered this, to be honest. We *thought* we’d ordered the chorizo, but in fact just ordered a plate of ham, and as nice as it was, I wanted chorizo. It went rather well with our bread and aioli (£1.95), but I don’t make a habit of spending almost £6 on ham, and neither should you. The ham itself was light and salty and there was plenty of it, but amongst our sizzling prawns and perfect octopus etc., it was pale in comparison. On our next visit we’ll either a) order the right thing, or b) go for the iberico ham and bechamel croquettes (£4.95) which sound obscenely good. 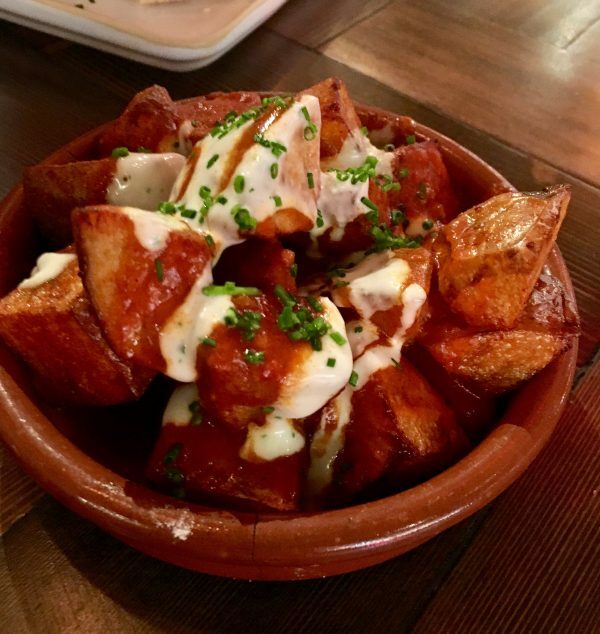 Because let’s face it: if you go to a tapas restaurant and don’t order Patatas Bravas, did you even go to a tapas restaurant? The Tapas Revolution incarnation are little drops of potato heaven. Perfectly fried, covered in spicy sauce and creme fraiche, with a sprinkling of freshly-cut chives. They’re a welcome companion to literally any of the dishes one might order, and of course, they’re vegetarian, so everyone can get involved. If you’re sharing amongst any more than 2 people then you’re going to need two portions of these, as they come in a rather small clay pot, but they’re not too bad price-wise so it can be excused. And that’s it, food-wise. 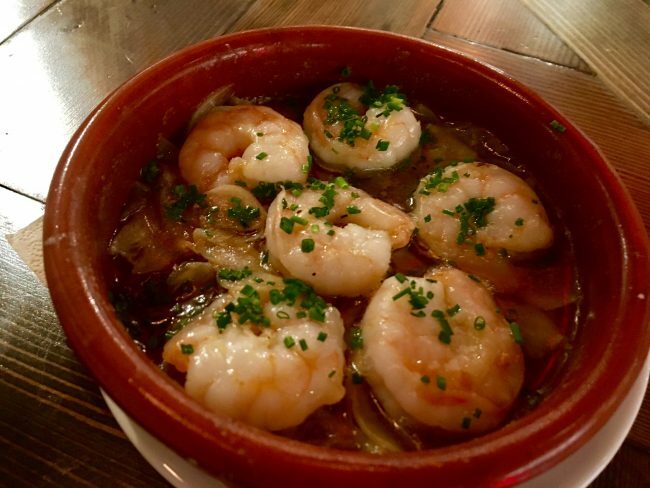 A smorgasbord of tasty, fresh and reasonably priced Spanish delights. Tapas Revolution have clearly placed a lot of emphasis on jazzing up some of the traditional Spanish dishes, because everything we ordered came with it’s own twist on the classic, and plenty of flavour. 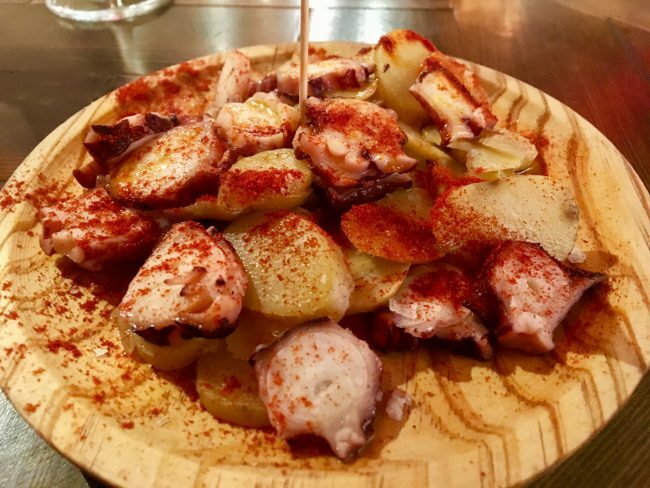 I often find (especially in Spain, actually) that some tapas dishes can be quite on the bland side, and a lot of it rather greasy, so this definitely broke the mould. 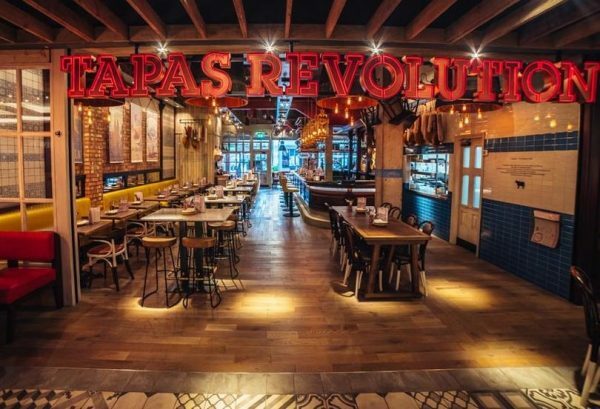 Tapas Revolution is a chain, and while many of the other themed restaurants in Eldon Square have the decor to transport you to whichever destination they represent, I really felt that Tapas Revolution is the only one to also do so with the food. This isn’t a cheap impersonator, but a restaurant that tells the stories of cuisine across Spain and the islands, and for a moment you kind of forget where you are. I suppose it helps that founder Omar Allibhoy is a Spanish native and is very particular about the look, feel and taste of his restaurants. Google him and you’ll find plenty of praise for his work at El Pirata Detapas in West London, as well as a couple of cookbooks that have quite rightly stormed the charts. After visiting Tapas Revolution, I’d certainly buy them. He’s the poster boy for Spanish food here in the UK and clearly has a tonne of ambition and passion for his own venture. At the end of our meal, despite being ready to be stretchered out of there we were so full, Jose insisted we try a traditional Spanish digestif, so we obliged. 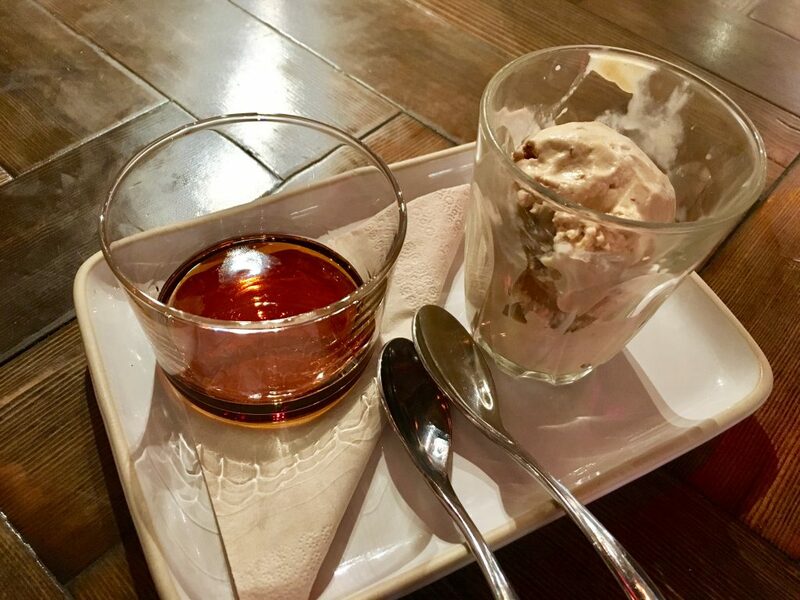 He brought us out a sweet sherry and ice cream, rum and raisin to be precise, and despite really not liking that kind of thing usually, it was actually really good. Especially the sherry. In summary, I’m a big fan of Tapas Revolution Newcastle and I know I’m not alone there. When researching this post I came across many articles and blog posts going rather wax lyrical about it, and the next time I’m in Eldon Square, I’ll almost certainly be back for more of that octopus. 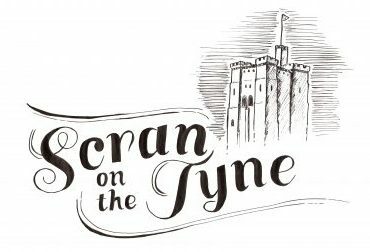 It gives some of Newcastle’s longer-standing tapas restaurants a proper run for their money, and while I fully support independent restaurants, I also support this. As well as awesome tapas, the restaurant also offers paella sharers, which I am definitely keen to try on our next visit. All in all, there is so much to choose and so much to please all tastes that you cannot go wrong. 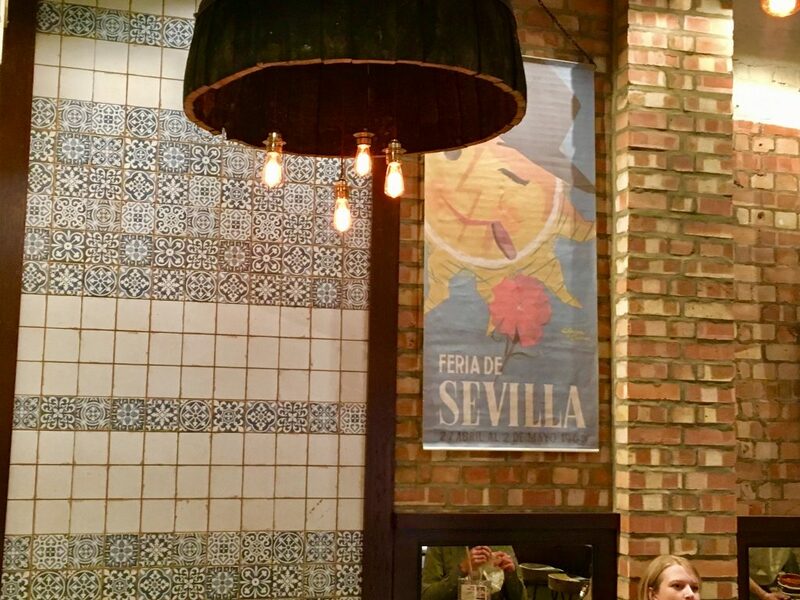 There is a little work to do on the efficiency side, but the experience and the food itself was all really positive, so go and get your tapas on! You won’t regret it. 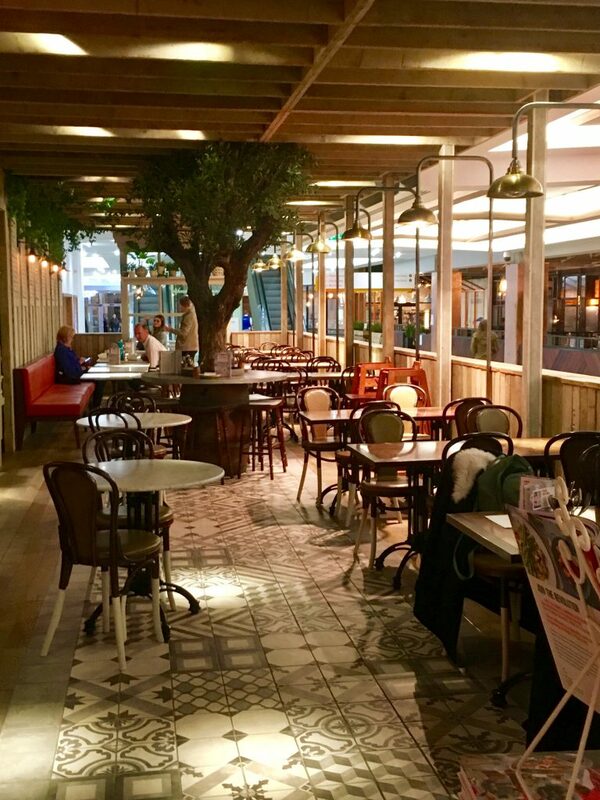 You’ll find Tapas Revolution on the ground floor of Grey’s Quarter food hall, Eldon Square, NE1. As mentioned earlier in the review, we’ve visited twice, and on our first visit, all food and drink was paid for by ourselves. The second visit was initiated by the Tapas Revolution PR and was therefore all food was offered on a complimentary basis. All opinions and photographs in this review are my own and are true to experience. Check out their website for more information and to view the menu!